"It was like living it twice, but not nearly so scary." A train flying through the French countryside at nearly 200 miles per hour. A knife-wielding man armed with an AK-47 and 300 rounds of ammunition on the loose inside. Three young American men help thwart a terror attack. Sounds like a scene from a movie, right? Yes, except this actually happened. Childhood buddies Alek Skarlatos, Spencer Stone and Anthony Sadler were on holiday in Europe in August 2015 when they found themselves on a Paris-bound train when a man opened fire on the passengers. It was a night that called ordinary men to greatness: The trio hog-tied the man, beat him to submission and saved numerous lives. (Chris Delmas/AFP/Getty Images) From left, Anthony Sadler, Alek Skarlatos and Spencer Stone arrive for the world premiere of "The 15:17 to Paris" in Burbank, Calif., Feb. 5, 2018. While the attacker awaits trial, the three friends found themselves making headlines along with two co-passengers who helped take the man down. They not only met with President Barack Obama but were also given the Legion of Honor, France’s highest decoration. Now their story is being retold by none other than Clint Eastwood in his latest flick, "15:17 to Paris." And it gets even better -- the three friends are playing themselves in the movie. 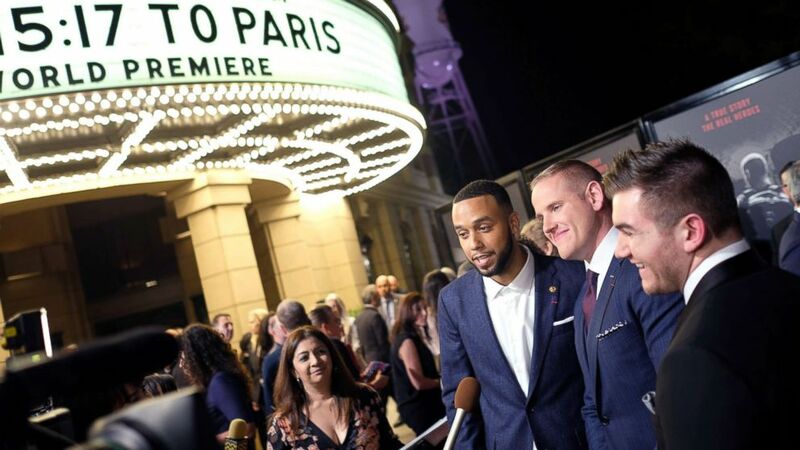 (Warner Bros. Pictures via AP) From left, Spencer Stone, Anthony Sadler and Alex Skarlatos in a scene from "The 15:17" To Paris." Eastwood debated casting actors in the roles but ultimately decided to go with the real-life people for the movie. (Chris Delmas/AFP/Getty Images) From left, Alek Skarlatos, Spencer Stone, director and producer Clint Eastwood and Anthony Sadler arrive for the world premiere of "The 15:17 to Paris" in Burbank, Calif., Feb. 5, 2018. But was it traumatic to relive the experience? The trio said it wasn’t. Starring in an Eastwood movie has definitely upped the stature of these hometown heroes. Growing up in Sacramento, California, they were not exactly model students. Their parents, who attended the film screening, are proud and overwhelmed. 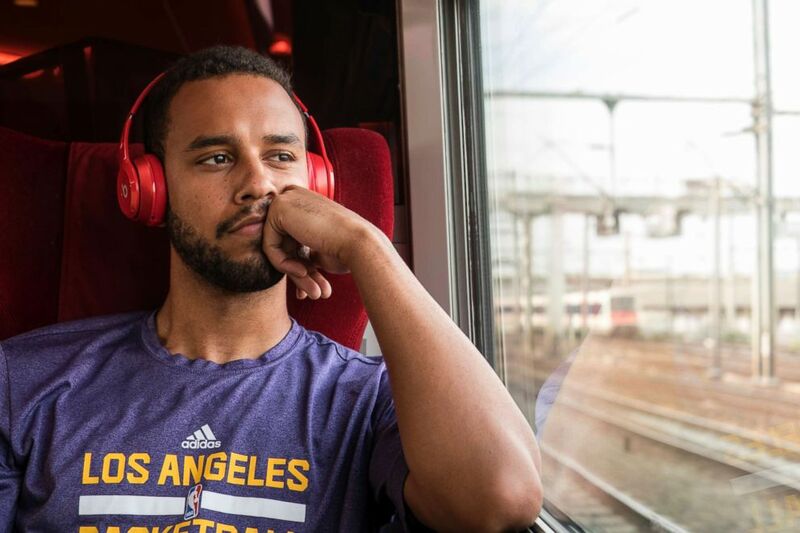 (Warner Bros. Pictures/AP) Anthony Sadler in a scene from "The 15:17" To Paris." “It does make me kind of catch my breath when you see it and the tragedy that could have happened that day,” said Skarlatos’ mother. Sadler’s father, who is a pastor said he liked the performances but found it unusual to see his son and his friends first on TV and now on the silver screen. 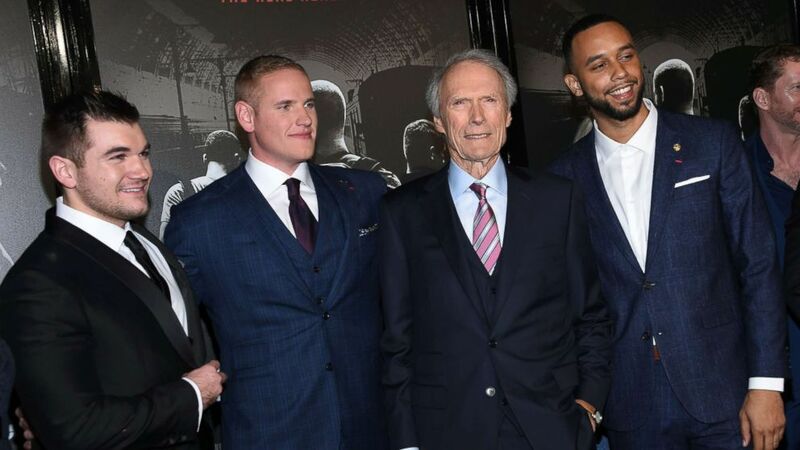 The screenplay is adapted from the book "The 15:17 to Paris: The true story of a terrorist, a train and three American heroes," authored by the gang, who admitted that they actively sought out Eastwood. They said they didn’t want to act but convincing them wasn’t an uphill battle. 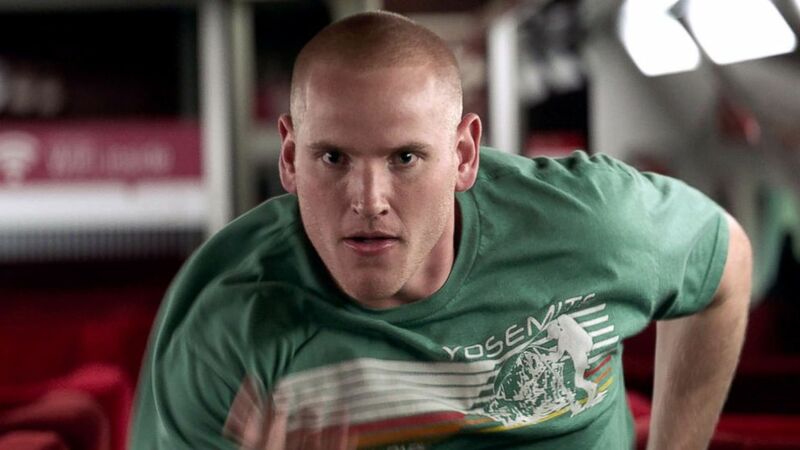 (Warner Bros. Pictures/AP) Spencer Stone in a scene from "The 15:17" To Paris." The movie was shot on the actual train on which the real terror unfolded. "It was like living it twice, but not nearly so scary," said Skarlatos. Many extras, including the paramedics, were also playing themselves, transporting the "actors" back in time. 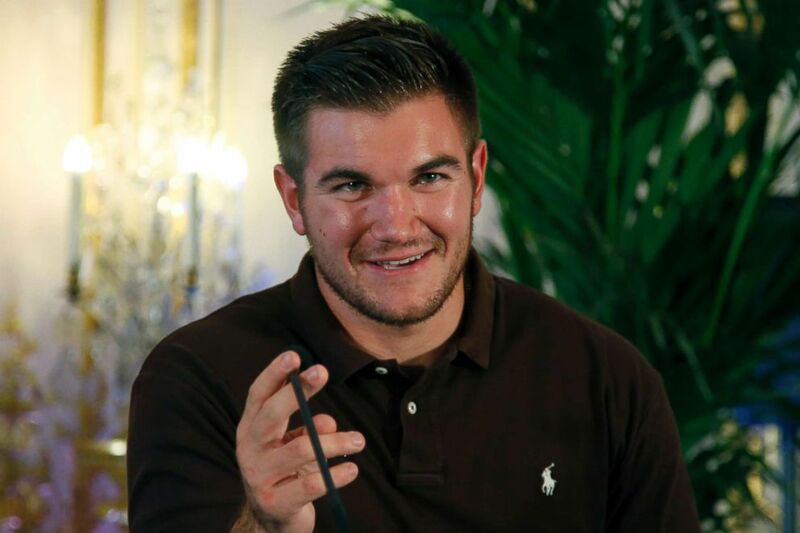 (Francois Mori/AP) Alek Skarlatos attends a press conference held at the U.S. Ambassador's residence in Paris, Aug. 23, 2015. The moral of the movie, the men said, is that anyone could do what they did that fateful night in France. “Everybody can do something extraordinary,” said Sadler. Skarlatos added that their reaction stemmed from basic survival instincts. “It had more to do with our friendship and the fact that we just didn’t want to die that day,” he said. 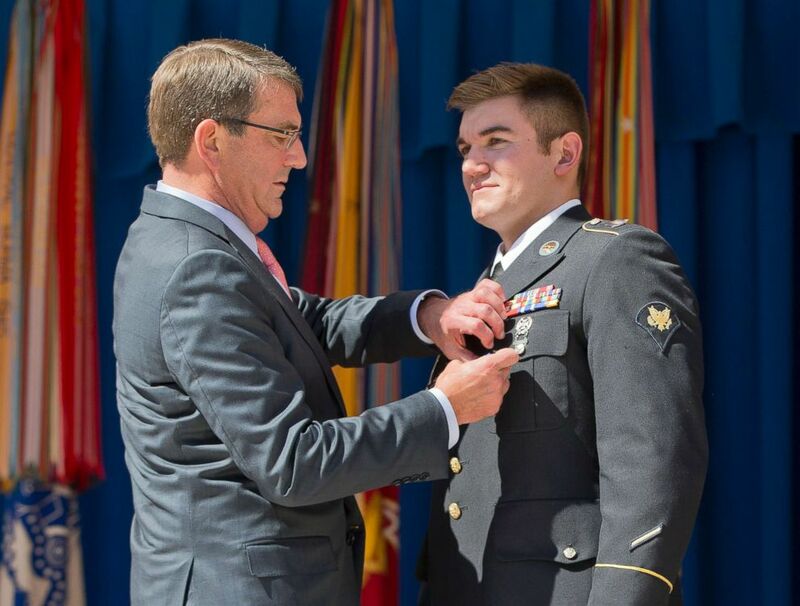 (Pablo Martinez Monsivais/AP) Defense Secretary Ash Carter awards Oregon National Guardsman Alek Skarlatos with the Soldier's Medal during a ceremony at the Pentagon, Sept. 17, 2015. The three are bracing their newfound stardom. They have appeared on "Who Wants to Be a Millionaire?" and Skarlatos made it pretty far on "Dancing With the Stars." These details, though, were left out of the screenplay. Real life is a common theme for Eastwood -- his movies like "Sully," the story of Chesley Burnett "Sully" Sullenberger, the pilot that successfully lands a plan on the Hudson and saves 155 lives, and "American Sniper," which centers on Navy SEAL Chris Kyle’s heroics, are both based on real events. 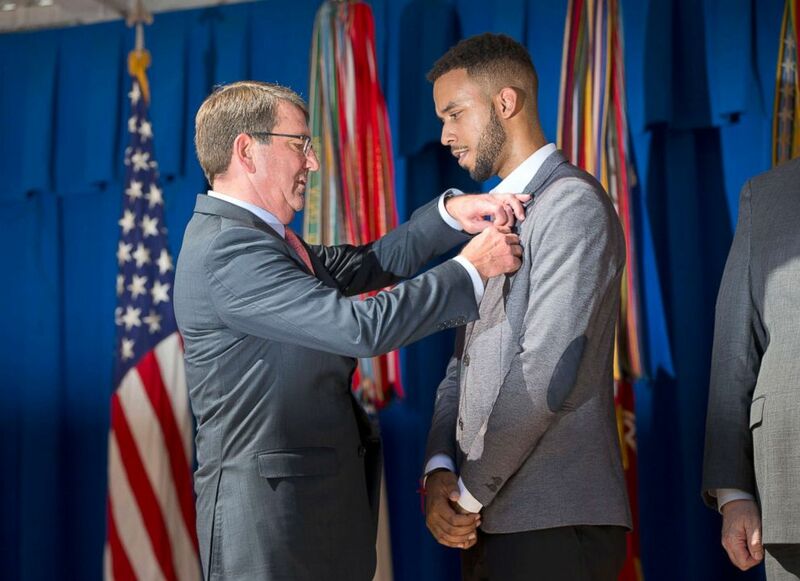 (Pablo Martinez Monsivais/AP) Defense Secretary Ash Carter, left, awards Anthony Sadler, with the Defense Department's Medal for Valor during a ceremony at the Pentagon, Sept. 17, 2015. 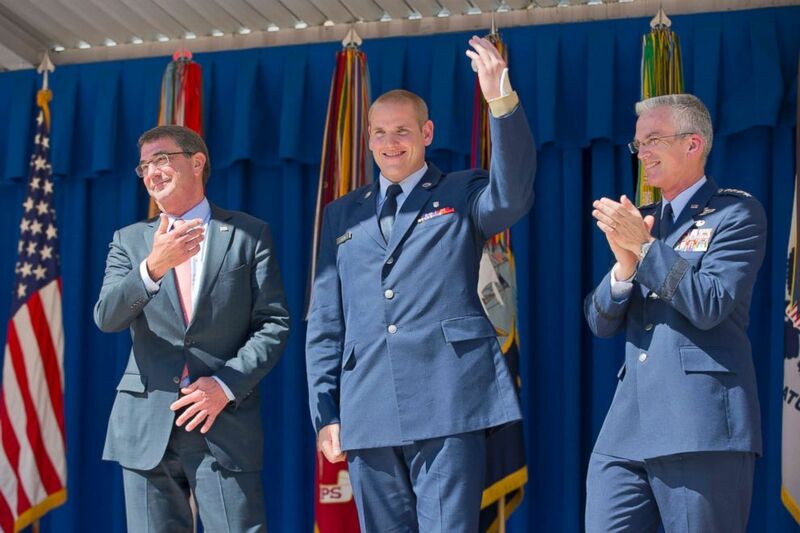 (Pablo Martinez Monsivais/AP) Defense Secretary Ash Carter gestures towards Airman 1st Class Spencer Stone, center, before receiving the Airman's Medal and Purple Heart medal during a ceremony at the Pentagon, Sept. 17, 2015. So do these accidental actors want to pursue a career in Hollywood? A lawyer representing the accused train attacker portrayed in the upcoming film has asked for showings to be suspended while a judge reviews evidence in the case against him… calling the film a “fictionalization” and “one-sided” portrayal of events. “I am aware that my client is not an angel but let justice do its work,” she told French radio. The lawyer said she has not ruled out legal action against Warner Brothers. The case is currently being reviewed by the judge, who is deciding if there is enough evidence to go to trial. But for now, the three men are relishing these moments: Hanging out with Eastwood, getting pampered by makeup artists and stylists, and arguably most importantly, telling their story. "15:17 to Paris" hits theaters Friday.